In 2008, Senator Ward won the Pennsylvania 39th Senatorial District seat and was the first woman ever elected to that seat. She was re-elected in 2012 & 2016. Prior to her election to the Senate, she served as a Westmoreland County Commissioner in 2008, and on the Hempfield Township Board of Supervisors from 2002-2007 where she was Chairwoman of the Board for the final three years. Recently Senator Ward was appointed the leadership position of Majority Caucus Administrator for the Senate of Pennsylvania. Senator Ward has introduced and had legislation signed into law reducing spending on state subsidized methadone treatment transportation; implementing the federal E-Verify program to ensure workers on publicly funded construction projects were legally permitted to work; and re-authorizing the emergency services grant program. In addition, she led the successful effort to reform Pennsylvania’s child abuse laws in order to provide greater protections for children against abuse. In July 2015, her Ready to Succeed college grant program legislation for middle-income families was signed into law, becoming one of Pennsylvania Higher Education Assistance Agency’s most successful grant programs. Ward helped to extend benefits to the families of campus police officers who die in the line of duty and was instrumental in moving the Commonwealth into compliance with the Federal REAL ID Act, thereby helping Pennsylvanians avoid the need for multiple forms of identification to visit a military base, get into a secured federal building or fly domestically. Most recently, Ward successfully championed efforts to help ensure continued access for eye patients to quality care, improve service delivery within the Commonwealth’s unemployment compensation system, and add more crime victim representation within the Pennsylvania Commission on Crime and Delinquency so policy and funding priorities are being decided with more victim populations under consideration. 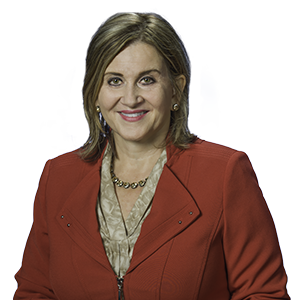 Senator Ward is the first woman to Chair the Senate Transportation Committee, which oversees all modes of the Commonwealth’s interconnected transportation system. The Committee evaluates legislation, regulations, and policies impacting Title 74 (Transportation) and Title 75 (Vehicles) including, but not limited to, road and bridge improvements, highway safety, public transportation, driver licensing and vehicle services, and investments in airports, ports, and railroads. In relation to her capacity as the Chair of Transportation, she also serves as a member of the State Transportation Commission, the Transportation Advisory Committee, the Aviation Advisory Committee, the Pedalcylce and Pedestrian Advisory Committee, the Motor Carrier Safety Advisory Committee, Rail Freight Advisory Committee, Vice Chair of the Appropriations Committee, Co-Chair of the PA Senate Manufacturing Caucus, and a Heinz History Center Board of Trustees member. Senator Ward is a member of Our Lady of Grace Catholic Church in Hempfield Township, the Italian Sons and Daughters of America, the NRA and is a Mentor for the Anne Anstine Women’s Services. Senator Kim Ward is a native southwestern Pennsylvania resident who grew up in Meadowlands, Washington County. She attended The Community College of Allegheny County Respiratory Therapy program, the University of Pittsburgh, and Middle Tennessee State University. Before entering politics Kim worked as a Board Certified Respiratory Therapist at Allegheny General Hospital, Vanderbilt University Hospital and Hershey Medical Center. She and her husband, Dr. Thomas Ward, have three sons, Tom, Michael, and Matthew and one granddaughter, Josie.